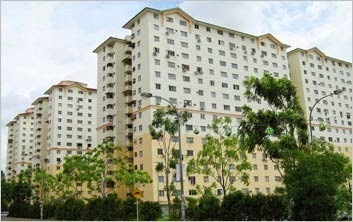 Sri Rakyat Apartment is a freehold low-cost apartment located in Bukit Jalil, Kuala Lumpur. Sri Rakyat has three blocks apartment with a total of 1,098 units. The built-up area sizes from 650 sq.ft. to 670 sq.ft. Each unit has three bedrooms and 1 bathroom. Built-up Area : 650 sq.ft. - 670 sq.ft.